Protein is necessary for a healthy nutritional regimen. Protein is known to provide a host of solid health benefits including raising your metabolism to enhance weight loss, body composition, muscle strength and helping you recover from intense workouts. Gone are the days when supplements were left for male bodybuilders looking to gain a muscular physique. More and more women are now using protein powders to get a well-toned body, tighter glutes and thighs. Many supplement manufacturers are now making protein powders targeted towards female users. A recent study projected the United States market for sports protein powder to hit $7.5 billion by 2020. Regardless of what you want to achieve, using the right protein powder will go a long way in helping you get adequate protein levels essential for body development. When it comes down to choosing best protein powders for women, there is no one size fits all. It is advisable you choose a formula that suits your lifestyle and dietary preference. Whey protein is the most common proteins with 9 essential amino acids. It is however not suitable for vegan users. If you can’t tolerate animal-based protein powders, you can opt for formulas that use vegetables like peas. Pea protein is also hypoallergenic. Other types include egg white protein, collagen, brown rice protein, and hemp protein. Despite the popularity of protein powders, there are still many myths and misconceptions surrounding these supplements. Just like men, women also need more high-quality protein in their bodies, especially if they are physically active. Life can be busy and getting the right amounts of macronutrients almost impossible. That’s where protein powders come in handy. Proteins are needed by the female body for repairing and building cells. These supplements will meet your nutritional needs and help you achieve your body goals. You should purchase and use protein powders specifically geared towards women. This is because they have recommended servings for the female body. Unlike other protein sources, protein powders are lower in calories and carbs. There are different ways you can incorporate protein powder into your current diet. You can use a protein shake either before or after a workout session, or add the powder to milk, water, iced coffee, smoothie or any other recipe if you need a quick but healthy meal. These powders make it easier to get those essential amino acids on the go. There’s just one minor problem: with so many options available in the market, it can be confusing to pick the right protein powder. Protein powders are not created equal. Depending on your health goals and dietary preferences, you can pick the right protein powder. To help you make an educated choice, let’s have a quick look at some vital requirements to consider before settling on one protein powder. Excellent macronutrient profile (low sugar, fatand carbs). High protein value (23-30 grams per serving). Few or no artificial ingredients. Reasonable price and great valueregarding cost per serving. Clump-free and easy to mix. 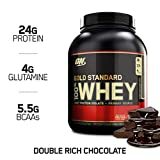 If you are shopping for the best protein powder that will enable you to achieve your body goals, then you’re reading the right article. We have prepared a list of best protein powders for women currently on the market. By understanding the pros and cons of each protein powder, you will have an easier job determining the healthiest option that best suits your budget, needs and preferences. 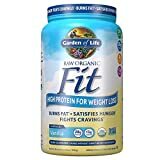 If you are looking for the ideal protein powder that will help you in your weight loss journey, look no further than this supplement. This low-calorie supplement was explicitly created for women. It has digestive enzymes to enhance protein break-down. SolaThin isolate, a recent weight loss innovation, makes you feel full for extended periods. The vegetable-based protein powder will additionally help you achieve toned thighs and glutes. It uses whey protein for faster absorption and contains an impressive 3.6 calories per gram to give you the feeling of not feeling hungry for longer. Flavors include vanilla chai, cappuccino and chocolate. Provides 24g of complete protein per serving, sourced from grass-fed cows. Contains no artificial colors, flavors or sweeteners, is gluten free, non-GMO and produced in a peanut free facility. NSF Contents Tested & Certified to ensure that every bottle meets the highest safety and quality standards and that all claims and information on the label are accurate. 100% of the protein is from whey and nothing else. Over 5g of naturally occurring BCAAs per serving with a complete amino acid profile. Some protein powder manufacturers advertise their products as healthy, but when you have a close look at the ingredients on the label, you will notice artificial flavorings and additives. Sourced from a grass-fed cow, Bodylogix offers a protein powder that boasts zero artificial flavors making it the ideal choice for women who want an organic protein powder. According to fitness experts, whey is a top choice when choosing a post-workout protein powder. This can be attributed to the fact that it possesses a blend of amino acids needed for repairing and building muscles. This powder is non-GMO, lactose-reduced, and gluten-free. It comes in 3 different sizes: 4, 1.8 and 1.6 pounds. Available flavors include vanilla bean, decadent chocolate and caramel chocolate. ONLY FOUR INGREDIENTS: Egg White Protein From Eggs Raised on US Farms, Organic Coconut Sugar, Vanilla, and Sunflower Lecithin. 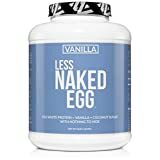 Vanilla Less Naked Egg Contains No Artificial Sweeteners, Flavors, or Colors. MAXIMUM NUTRITION: 25g of Protein, 8g of Carbs, 140 Calories, and 5.9g of BCAAs (branched-chain amino acids) per serving. NON-GMO EGGS: Sourced exclusively from US farms that produce non-gmo eggs. PALEO FRIENDLY PROTEIN: An excellent choice for those following a paleo diet. Create a vanilla egg white protein shake or use in baking to supplement your diet. Nutritionists recommend getting protein from whole foods and egg white powder will help you get exactly that. This supplement contains only two ingredients -sunflower lecithin and pure dried egg whites (yolks are removed). The lack of additives and sugar alcohols means that the product is very close to its natural form. The neutral taste in this protein powder means that you can make your own favorite flavors. Each serving will give you 25 grams of protein. If you have trouble stomaching other animal-based protein powder, this powder can be a great substitute. serving, this supplement doesn’t include sugar, fat or lactose. If you do a high-intense exercise, this product will act as a great energy source. If you are already on a vegan diet or planning to switch to it, make this protein powder your best friend. The supplement gets its protein from legumes, seeds, sprouted organic greens and peas. It is best recommended for weight loss and workout sessions. The Svetol Green Coffee Extract will help to maintain your blood sugar levels. Available flavors include vanilla, coffee, chocolate and original. One serving will give you 28g of protein. Created by celebrated writer, fitness model and a past World’s Fittest Model competition winner, this lean protein powder is meant for the modern woman who wants to get a well-toned body, increased energy, more focus and boosted mood. Unlike most powders, this product is gluten, preservatives and artificial colors-free, vegan and non-GMO. One serving gives you 25 grams of protein. Available flavors include natural vanilla, natural chocolate, and cookies and cream. This whey protein is jam-packed with nutrients that will help you break down fat and build muscles. One scoop will provide your body with 24 grams of high-quality protein. 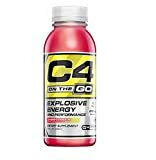 The powder also has 4g of glutamine and 5.5g of naturally-occurring Branched Chain Amino Acids. ONLY ONE INGREDIENT: 100% Grass-Fed Pure Whey Protein with zero additives. Naked Whey has no artificial sweeteners, flavors, or colors and is GMO-Free, Growth Hormone Free, Soy Free and Gluten-Free. ALL NATURAL WHEY PROTEIN: Our Grass Fed Whey is sourced from small dairy farms in California to bring you a non-denatured whey packed full of essential amino acids, clean protein and glutathione. MAXIMUM NUTRITION: 25g of Protein, 2g of Sugar, 3g of Carbs, 120 Calories, and 5.9g of BCAAs (branched-chain amino acids) per serving. COLD PROCESSED: Unlike most whey protein powders, Naked Whey is cold processed to ensure zero contamination from chemical detergents (no acid or bleach), synthetic additives, or heavy metals, and this maintains important naturally occurring growth factors. THE PERFECT WORKOUT PARTNER: Add a banana, blueberries and more to create your best pre and post workout whey shakes, smoothies and recipes to take your muscle gains and recovery to new heights. This protein powder contains just one ingredient – whey protein. Being grass-fed means that the protein powder contains different essential amino acids and heart-healthy Omega 3 Fatty Acid needed by the body for better functioning. One serving gives you 25 grams of protein, 3g of carbs, and 5.5 g of Branched Chain Amino Acids. 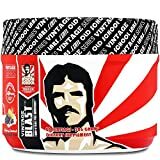 Whether you are toning up or building muscles, this powder has all the ingredients to help you on your fitness journey. Many people prefer whey protein as they have all the 9 essential amino acids. But what happens when you are meat or dairy free? More people than ever are embracing veganism. If you don’t use animal-based proteins, you will be glad to know that this protein powder contains all of the nine amino acids. You, however, need to be strategic to consume enough the required amount of proteins from a plant-based diet. One serving will give you 21 grams of protein. 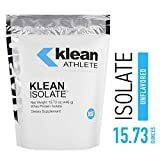 HIGH QUALITY PROTEIN: Klean Isolate is a NSF Certified for Sport supplement that supplies 20 grams of high quality Whey Protein isolate in each serving. With no additional flavorings or sweeteners, Klean Isolate can easily be added to any beverage to enhance daily protein and amino acid intake. CONTAINS BCAAs: The dietary protein provided by Klean Isolate supplies essential amino acids, including branched chain amino acids that participate in many of the body's metabolic and physiologic systems. Protein turnover in the body is continuous and can be substantial, and the rebuilding of skeletal muscle that is broken down during exercise is critically important to athletes. Essential amino acids must be supplied by the diet as they are not synthesized by the body. DOES NOT CONTAIN: This product contains NO yeast, wheat, gluten, soy, corn, starch, artificial coloring, artificial preservatives, artificial flavoring or genetically modified ingredients (GMOs). DOES CONTAIN: This product contains whey protein isolate (from milk). NSF CERTIFIED: Klean Athlete is a line of NSF Certified for Sport nutritional supplements certified free from banned substances and contaminants. Our suite of targeted products promotes peak performance by fueling and fortifying with a solid nutritional base to support an athlete's training and overall well-being. * | *These statements have not been evaluated by the Food and Drug Administration. This product is not intended to diagnose, treat, cure, or prevent any disease. With only 100 calories and 20g of protein in one scoop, this protein powder is tailored to meet the needs of female athletes. The whey protein in this supplement provides essential amino acids responsible for muscle building. The supplement also has low lactose content for enhanced digestion. The potassium and sodium electrolytes will ensure you’re replenished after an intense workout. Flavors include vanilla and chocolate. Pro Tip: If you have allergic reactions towards some ingredients, it is advisable you consult your GP before you start using any protein powder. Now you have all the information you need regarding the best protein powders for women. There is indeed something for everyone when it comes to protein powders. 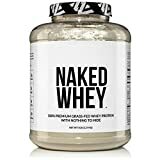 Women use protein powders for varied reasons and the supplements in this list have a great taste and contain a concentrated amount of potent protein in an easy to use powder with no artificial add-ons. Remember you get what you pay for; don’t go for cheap, low-quality blends just to save a few bucks.